My favorite WordPress Themes change all the time, not only year to year, but even month to month. Right now, these are my favorite ones below. I like them because they are responsive first, and I mean they actually look good in a small mobile phone. Don’t trust Google’s mobile-friendly test- see it with your own eyes at MobileTest.me. Then, they also have to look awesome on a big monitor desktop computer. If they do both of those, next I look for a creative, news magazine style layout- I hate the two-column blog look (although the Twenty-Fifteen Theme pulls that off in a clean way.) If I get that far (which is rare), I look for easy customization options. If a person can’t make it their own, what’s the point? 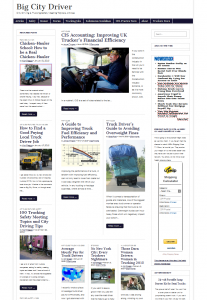 It’s a great free theme if you want a news-magazine look. I’m starting to get just a little bored of the simple look, but simple is good I always say. And along with simple comes clean and fast. This one has it all. CBatova is an excellent code writer and theme producer. You’ll like CBatova’s other themes too. It has several different layout choices and is one of the easiest themes to customize. If you know how to edit a CSS style sheet, you can change the colors and make it look different. But be warned- it will change when you update it. Here’s two Magazine Basic demo’s: one on CBatova’s site, and a real website here at Big City Driver. Courage Theme by Themezee is one of my new favorite, free, responsive WordPress Themes. It looks amazing on any device, and if you have a lot of content, you’ll love the magazine style template. 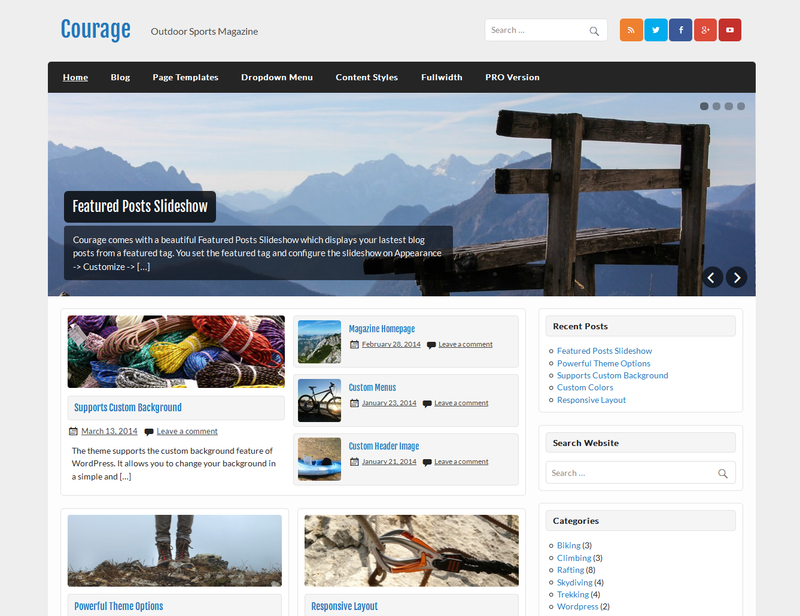 You can cram a ton of information on your front page with this theme, and choose a lot of different layout options. The only possible downside is, not all post titles show an excerpt. But if you think your titles alone are enough to make someone click, go for it. I really liked it when I changed the theme on one of my sites just a few days ago. Here’s Courage Theme demo from Themezee. 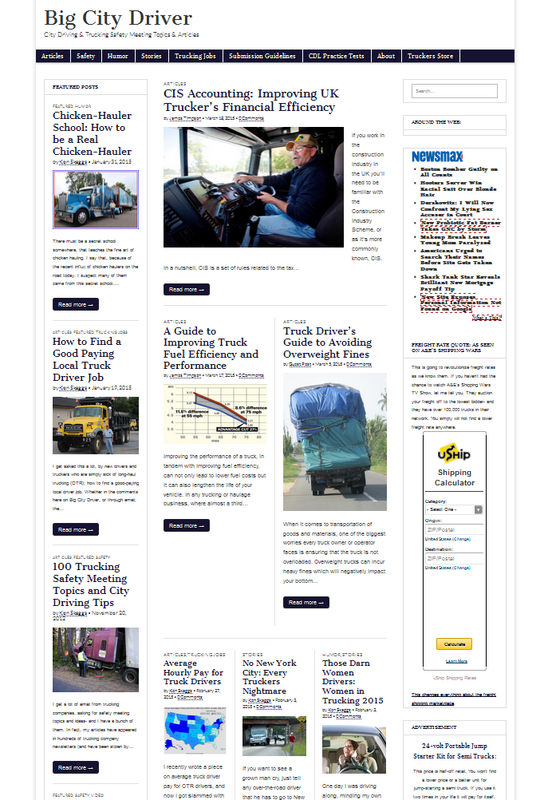 And here’s a site I use it on Driver Story Magazine. Download Courage Theme by Themezee here. Point Theme by MyThemeShop is another one that’s new to me, and I really like it. It passes all my initial tests; mobile-friendly, magazine style layout, looks good on a big monitor, and easy to customize. It loads fast too. I like it so much I use it on two sites, and that’s just in the past month or so. 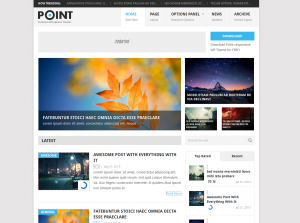 If you like Point Theme, you might want to browse around on MyThemeShop.com (just click on Free), and see some of other designs. His WordPress work is top-notch all the way. Here’s his official Point Theme demo, and here’s a tech news site of mine that uses it. 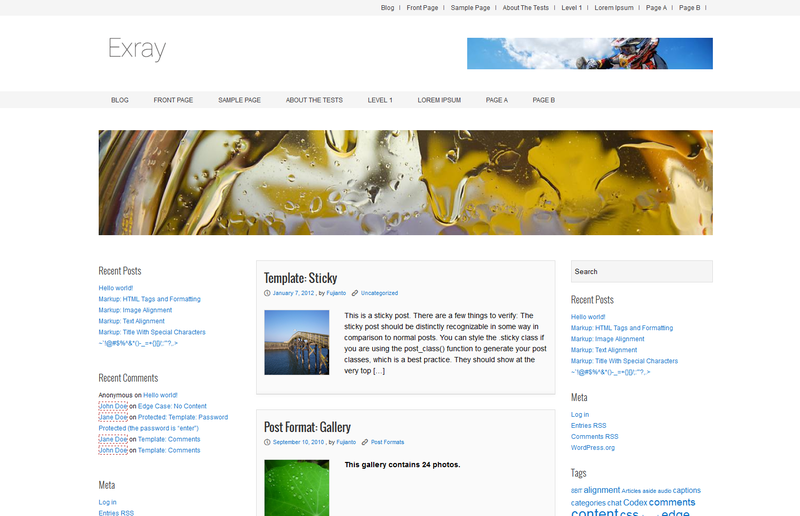 Exray Theme be Septian Ahmad Fujianto at SEOTemplates.net, is a powerful theme with everything I mentioned above, and loads fast too. It has several different layout options as well. You can choose left sidebar, right sidebar, or both. I like both, especially on sites that have a ton of content. It offers a lot of widgets (header, footer, sidebars) and you can change your color scheme with a few clicks. This is another one that’s new to me, but it definitely qualifies as a personal best, free responsive WordPress theme. I have this theme installed on one site. But as I mentioned earlier, everything is subject to change. But for now, I like it. 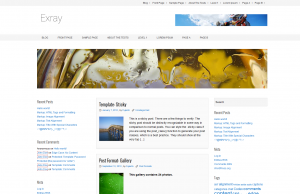 See the them authors Exray Theme demo here. And here’s my live site using it at NameLeak.com.